Barak Mori (Bass, Composer) is quickly becoming one of the New York jazz scene's most sought after musicians. 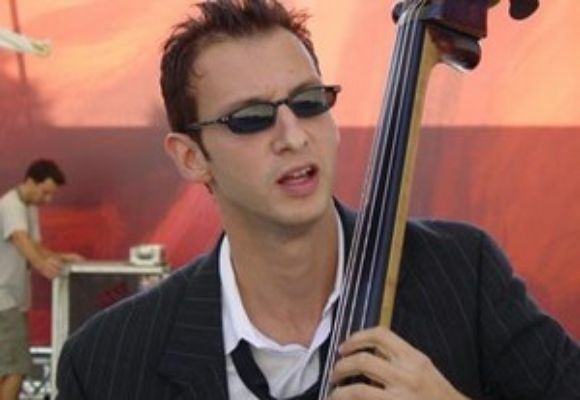 Born in Tel Aviv, Israel in 1975, Mori began playing the organ at age seven, and by the age of 13 he was playing jazz on the guitar and electric bass. At age 15, in addition to his jazz studies, Mori began his classical training on the acoustic bass. By the time Mori had graduated from the Thelma Yelin School of the Arts he had already played professionally at the world renowned Red Sea Jazz Festival, and toured internationally with the Young Israeli Philharmonic Orchestra. In 1996, Mori joined Israel's most prestigious jazz band led by saxophonist Walter Blanding, Jr. In 1998, he received a scholarship to study at the New School University. Residing in New York for the past seven years, Mori has performed and recorded alongside many distinguished artists such as Benny Green, Peter Bernstein, Eric Reed, Paula West, Kenny Washington, David Hazeltine and Jim Rotondi. Mori has been playing with Peter Cincotti since 2003 and can be heard on Peter's CD On The Moon.